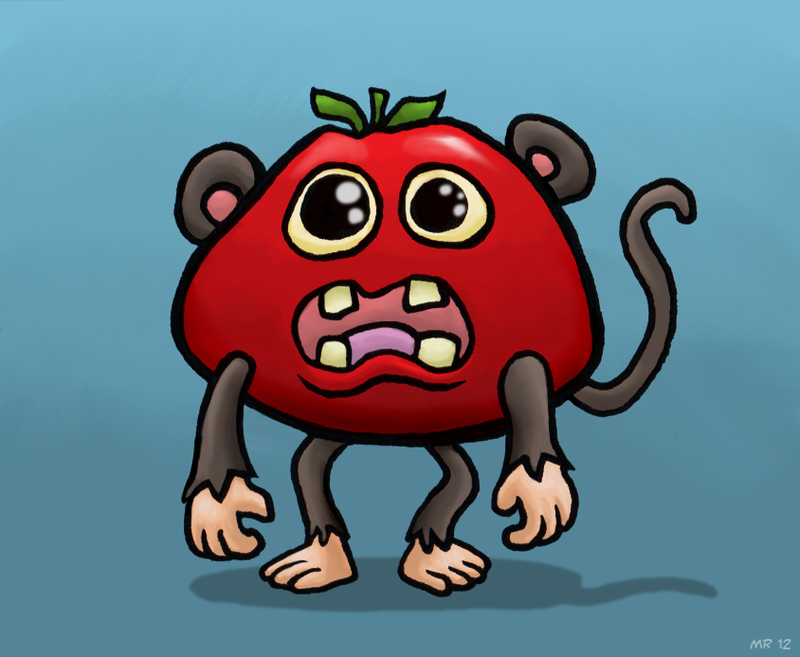 Tomato monkeys are strange mutations which have recently been spotted in the vast forests of Southeast Asia. 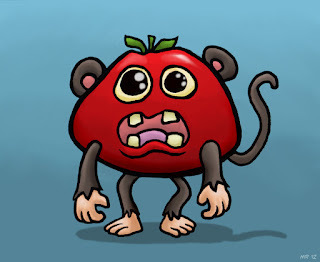 It is believed the creatures spawned from a troop of local monkeys fed upon wild tomatoes which had grown in a contaminated area. They have all the usual mating, grooming, and social habits of normal monkeys, but tend to "spoil" as they get older.